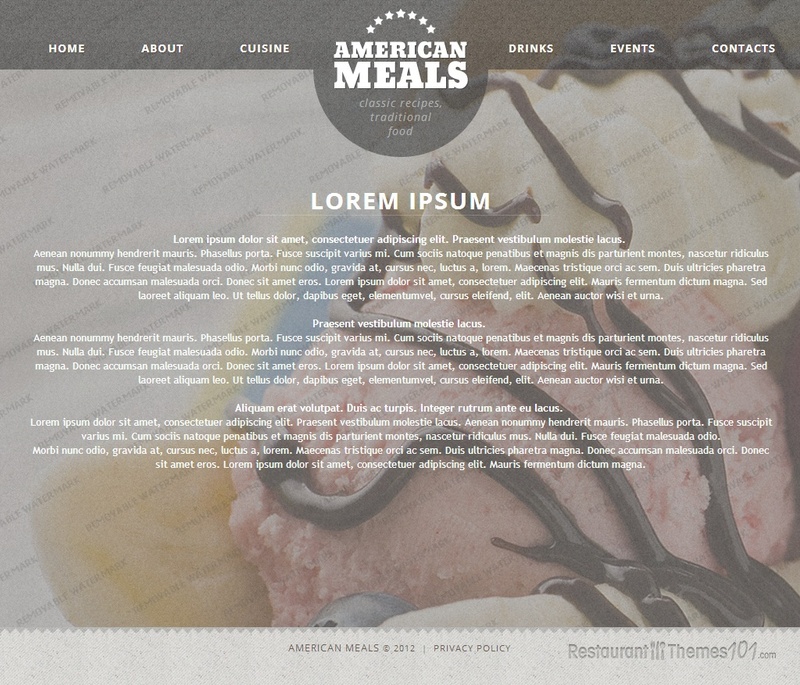 American Meals is a very extraordinary HTML5 restaurant template. 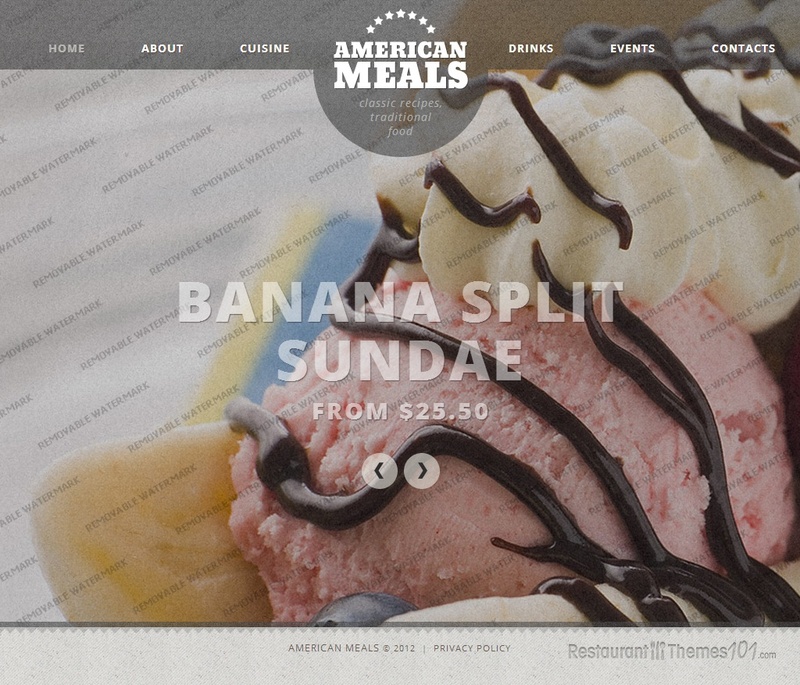 It is perfect for people who want to have a website that differs from all others and looks pretty much out of the box. The template was created by Delta, and it is featured at Template Monster. 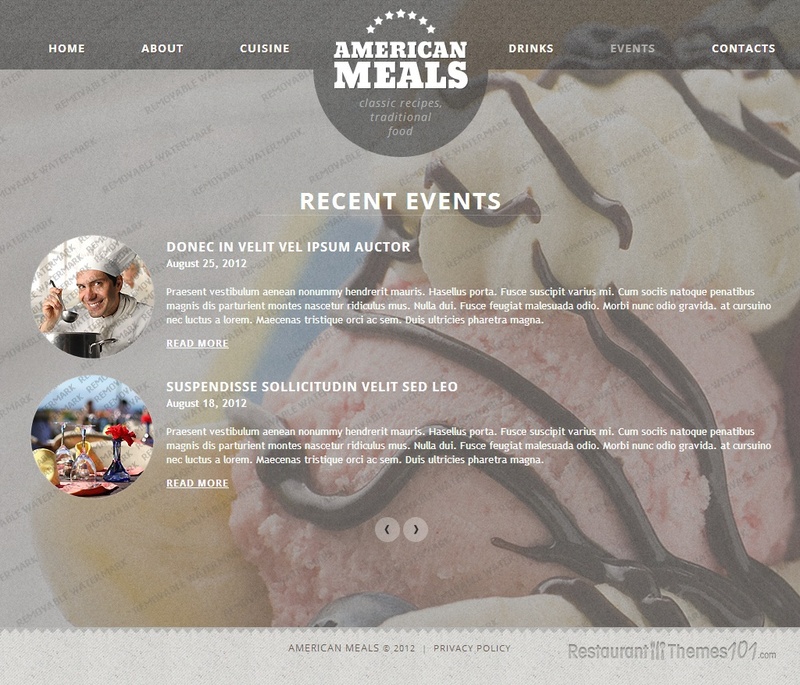 The menu of this template looks beautiful, nicely organized and categorized. 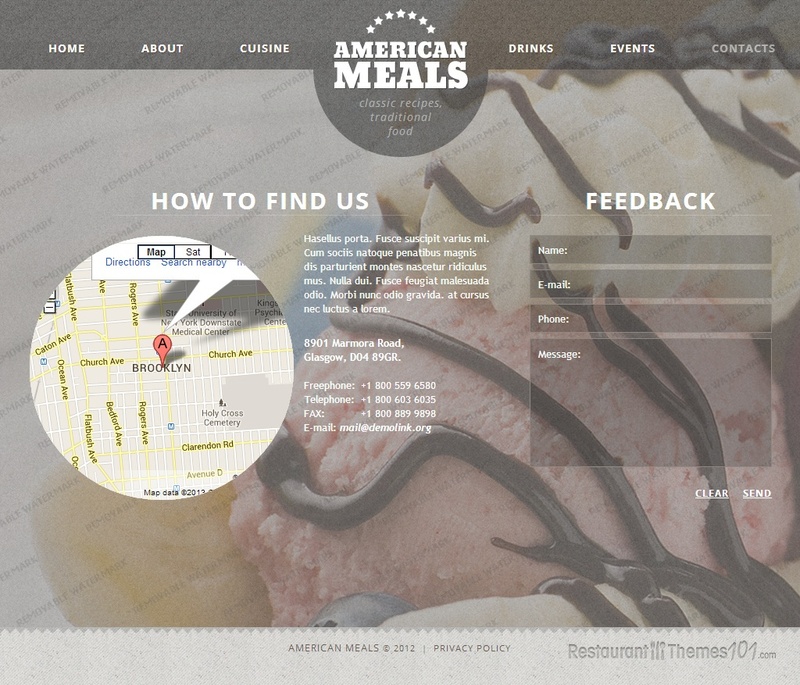 You will be able to add photos to your menu and enhance the whole browsing experience for your readers. There is an “about” section which is a great place for introducing your restaurant to your guests with a nice warm note where you can tell them a little more about your restaurant and all the fine services you provide. 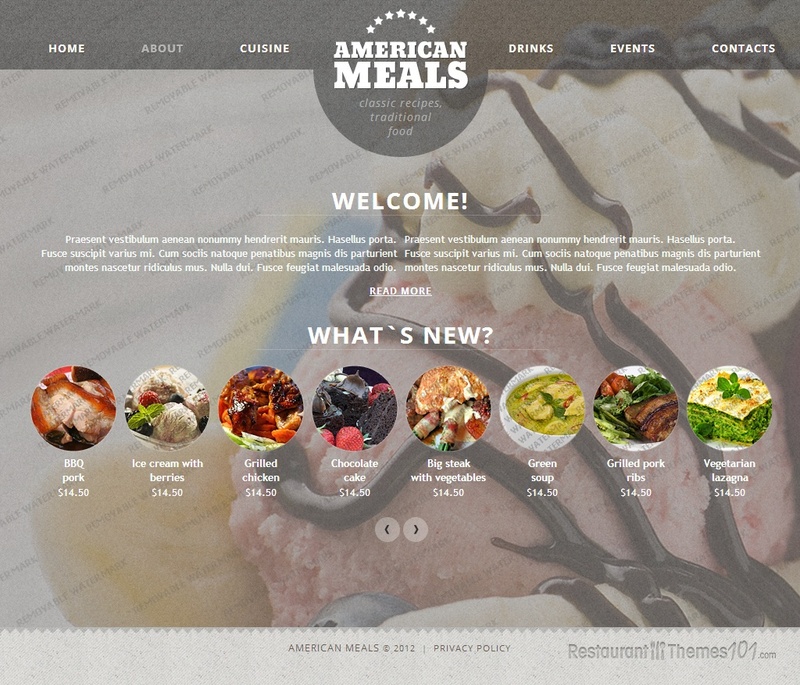 You will be able to feature your newest menu additions in this section as well, and you can do it in a slider form with thumbnail photos and prices shown. 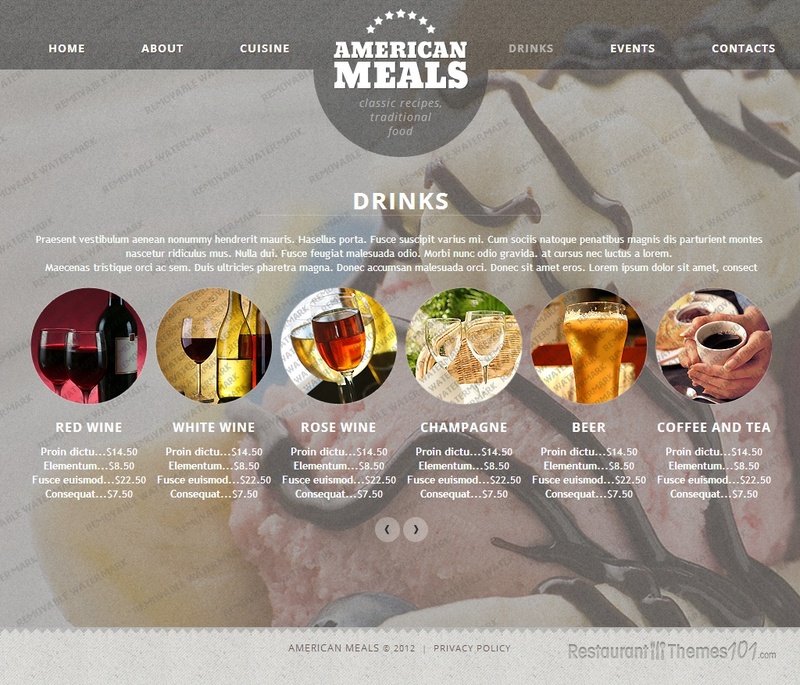 There is a separate menu for drinks, leaving you enough space to clearly describe everything you offer at your restaurant without causing a fuss on the website. Every element of your business will have its own section and everything is going to look both interesting and simple. 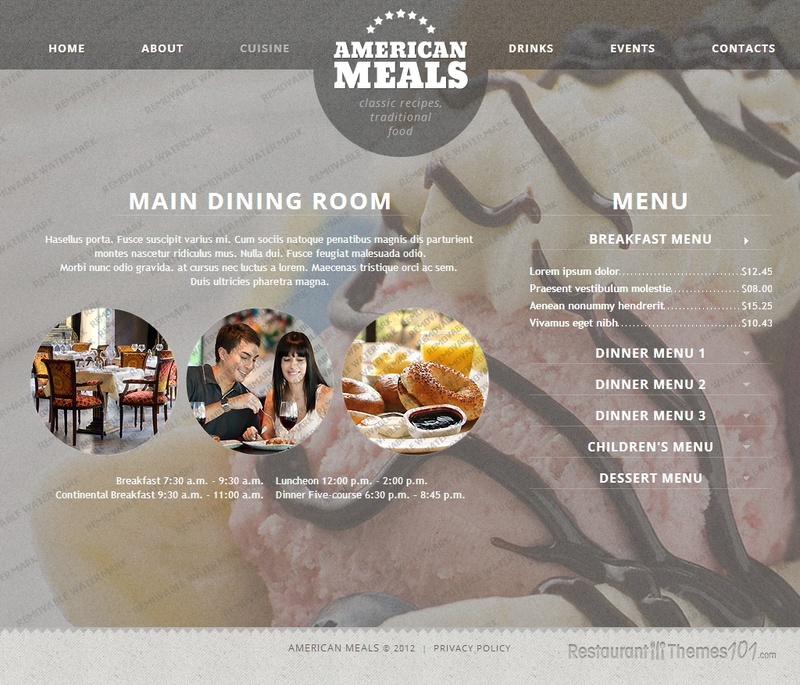 American Meals features events, letting you announce anything interesting that might be going on at your restaurant along with photos and detailed descriptions. The contact section features Google Maps integration and a simple contact form so your guests can email you easily.